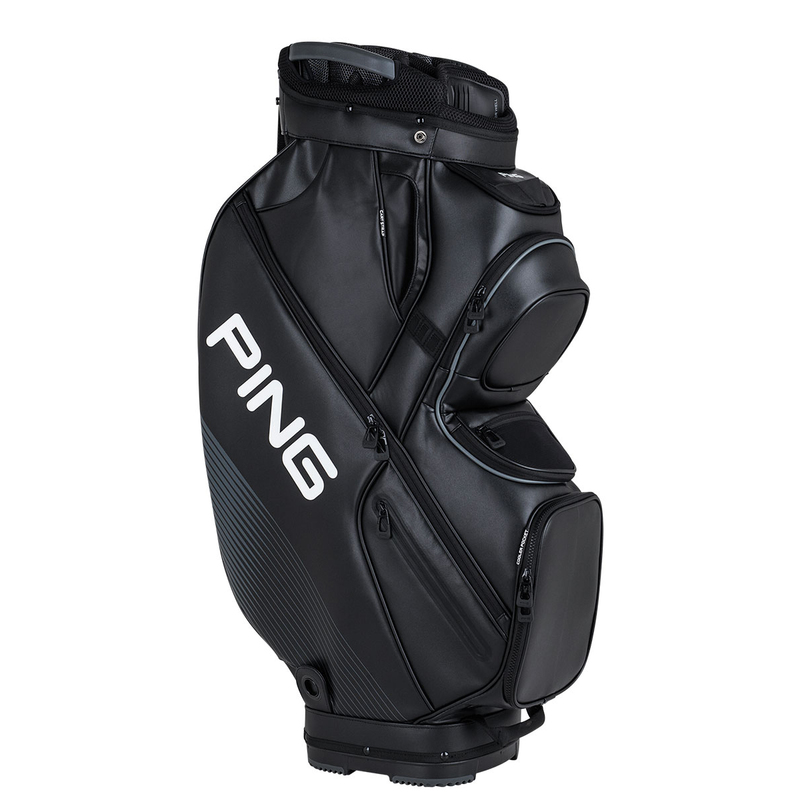 This fantastic bag boasts loads of storage options and features a 15-way Air Mesh top so you can arrange all of your golf gear just how you like. 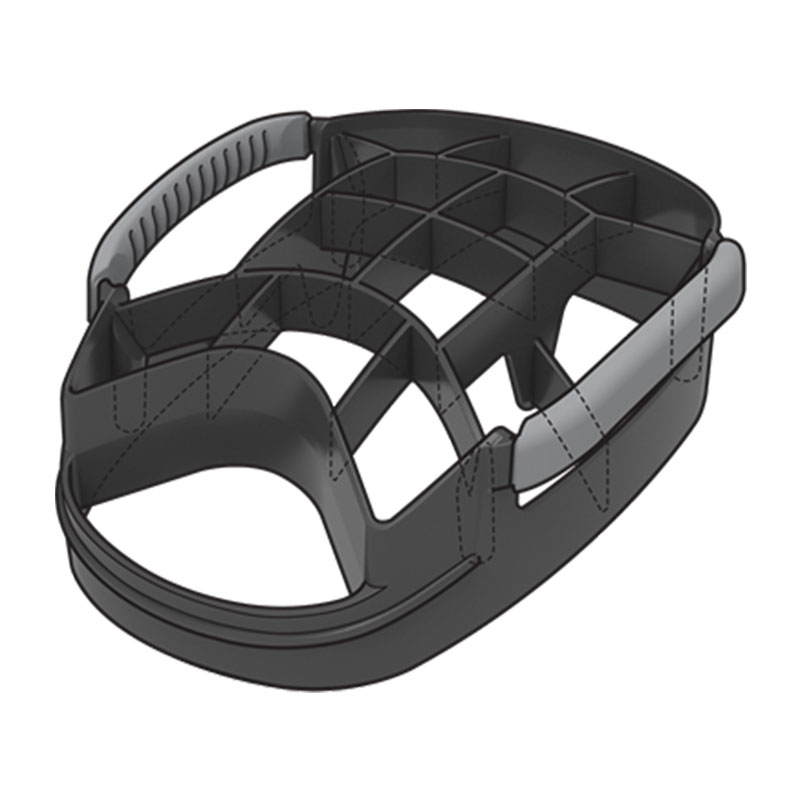 Pockets range in size for storing range finders, beverages, apparel, tools, and other accessories. 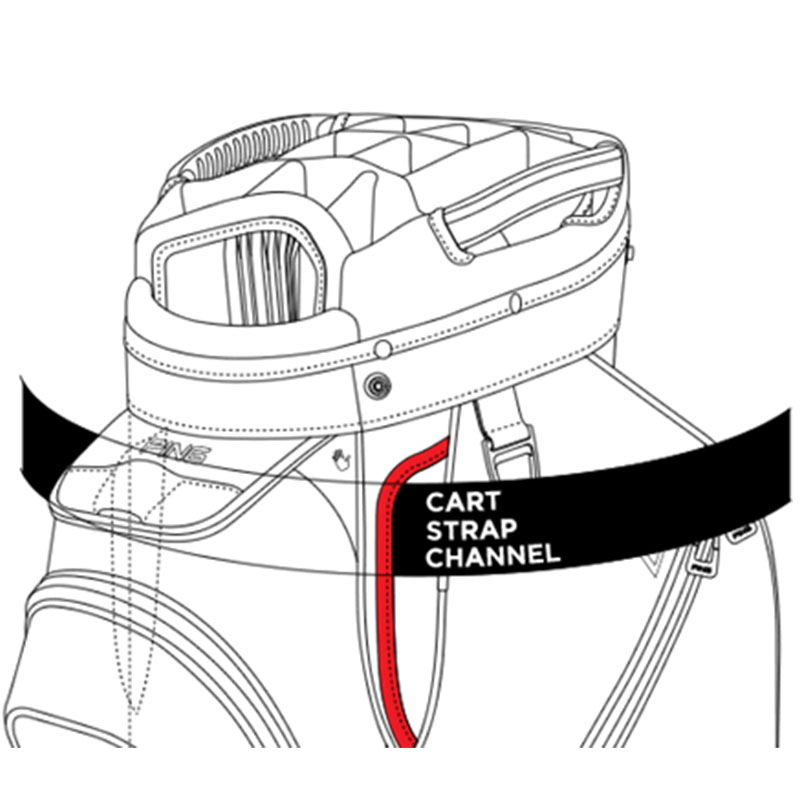 A cart-strap channel keeps pockets accessible when the bag is strapped to a cart, and a heavy-duty polyurethane material provides long-lasting quality. 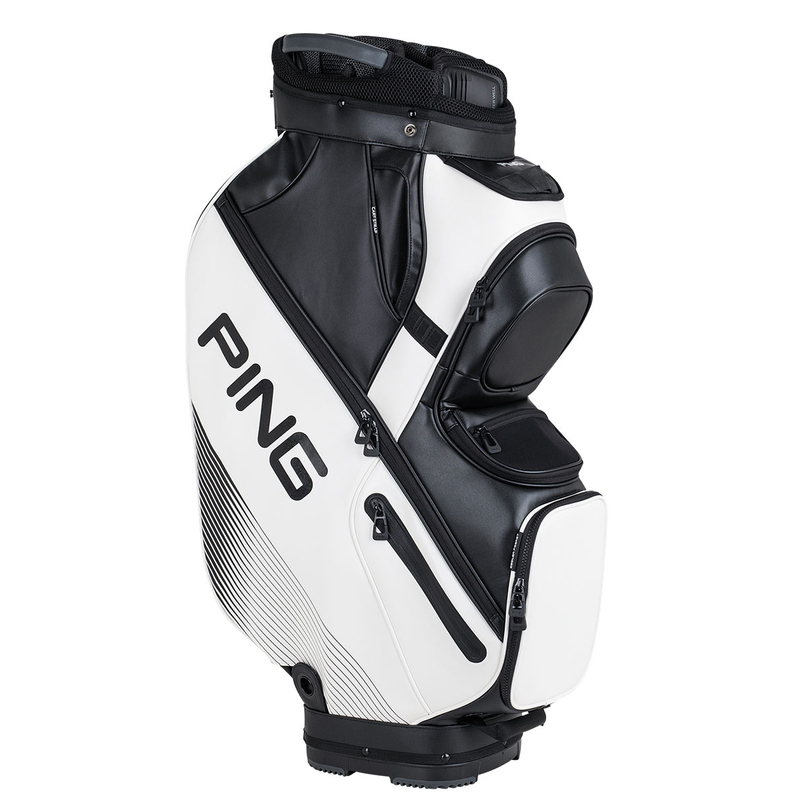 The rubberised, cross-design bottom fits securely on motorised and pull carts. 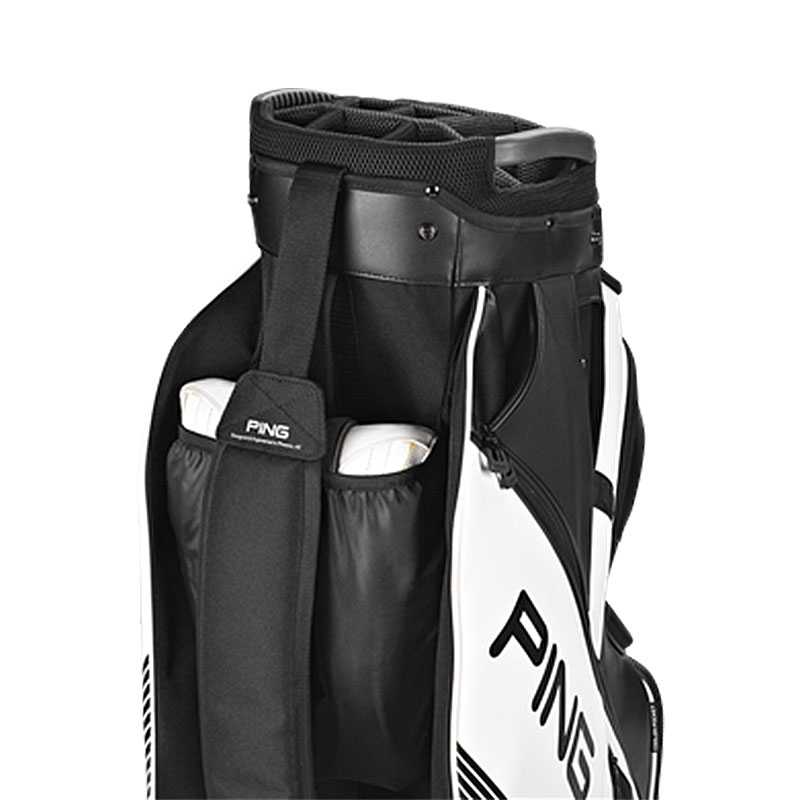 Other features include a trunk handle and zip-off, customizable cooler-pocket panel.